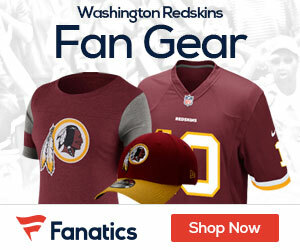 There’s a rumor making its way around the interwebs today, that the Redskins are willing to part with their 1st, 2nd, and 3rd round pick in the 2012 draft, as well as their 1st round pick in the 2013 draft — and possibly even more picks in next year’s draft — as part of a trade with the St. Louis Rams, to acquire the number two selection in the 2012 draft. Putting aside the fact that i’m not sure why Philadelphia beat reporters would/could have access to this information, I’ve been hearing a lot of whispers that there may even be a “handshake” deal or a “gentleman’s agreement” between the Redskins front office and the Rams front office, regarding the initial parameters of a trade between the two teams. Michael Lombardi of the National Football Post dropped a little bit of information on a recent podcast with Bill Simmons, saying that there’s a high likelihood that a deal could get done between the Redskins and Rams for the #2 spot, due to the strong friendship between Mike Shanahan and new Rams head coach, Jeff Fisher. He believed that their friendship would be a key factor in getting a deal done between the two teams. Once again, the Redskins interest in moving up to the #2 pick revolves around selecting quarterback Robert Griffin III from Baylor University, who is absolutely wowing people at the NFL combine. After conducting his interview session as flawlessly as a prospect could on Friday, he went out this morning and blazed a jaw-dropping 4.38 time in the 40 yard dash today. That was easily the fastest time recorded for any quarterback today, and the fastest time recorded at the combine in years, since Michael Vick recorded a 4.33 in 2001. The Redskins need a future QB and if RG3 does well at his proday,etc I could see the Redskins making such a deal and it would be worth it but the team does have other holes to fill like a WR,CB,OL and a Safety. A huge mistake in my estimation. If this is in fact true, it’s the equivalent to signing FAT ALBERT except with the draft instead of $$$$ in free-agency. Just say no to RG3 even if he’s the second coming of PEYTON MANNING. To me, this is the kind of jaw-boning necessary to keep the REDSKINS’ true intentions under wraps. Continue to work through free agency. If enough of our key FA vets such as MONTGOMERY can be re-signed, and several of the glaring holes in our offense and defense can be solved through FA, then the pressure on the draft lessens. At that point, giving up the house for RF3 becomes feasible. Watch FA closely, and there should be a pretty good indication of what the REDSKINS intend in the draft. Our needs as I see them. The o-line re-build has started with the re-signing of WIL MONTGOMERY. I say go get C CHRIS MYERS from TEXAS in FA, and release ERIK COOK. Secure a left guard [CARL NICKS is the best, but prolly too expensive] in FA if possible otherwise BRANDON WASHINGTON in the draft. Stick with G CHRIS CHESTER, G MAURICE HURT, and T/G WILLIE SMITH. At tackle, hope WILLIAMS does not continue being stupid, and a high pick for R-OT. There aren’t any worth having in FA. This is why I don’t think RG3 will be a REDSKIN. Keep BROWN or POLUMBUS whichever is better come camp time.